Dropshipping is a profitable, easy way to make money online without the risks and overheads typically associated with online selling. However, with so many people looking to make money out of this method of online selling, the competition is rising and, thus, profits are dropping and margins are thinning. Nevertheless, with a few handy tips, you can take an edge over your competitors. I love the time the products you find online are well made but generic looking. This can be a downside because the perceived value for generic products is low. However, the upside is that this gives you the flexibility to brand products yourself. 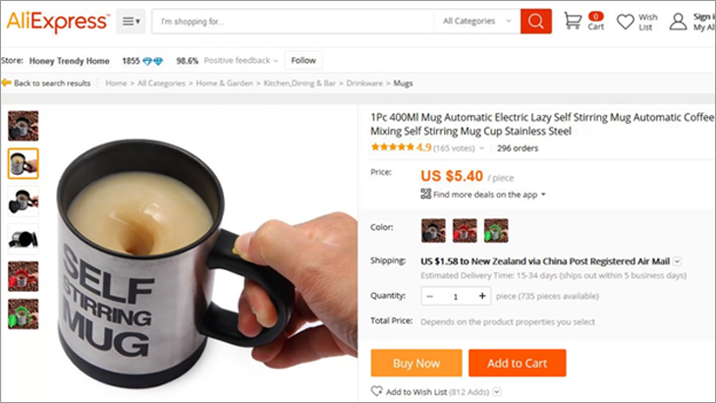 For example, you can buy generic self-steering mug that will stir your coffee or hot chocolate for you with the press of a button on AliExpress. People are taking this exact mug and renaming it with their own unique name. They are all the exact same product and often times they have the exact same pictures but the sellers have given it a unique name, making it a unique product. The trick is to be creative and rebranding generic products. In addition, buyers seek branded products and are ready to pay a higher price over the generic variant of the product. Further, branded products pique buyers’ interest, add credibility to the product, and raise trustworthiness of the seller. 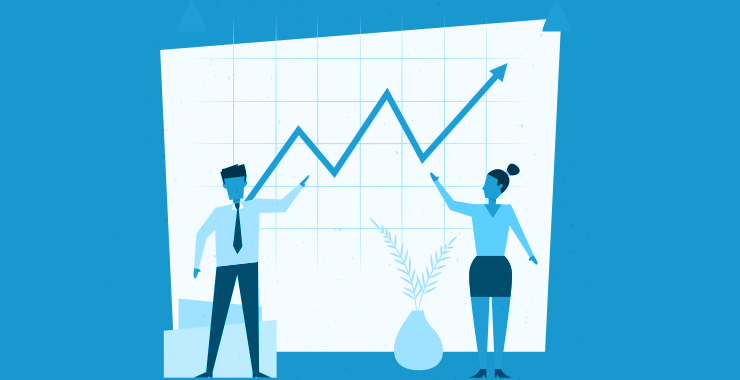 In most of the cases you don’t have to prepare the listing yourself as Dropshipping software tools are capable of creating listings themselves and deciding the prices based on a healthy margins. A funny quirk about e-commerce is that buyers are naturally drawn to free shipping offers even though it’s not really free because the merchant just increases the price to be able to absorb the cost of the free shipping. People don’t realize this and they find it an exciting offer. Therefore, emphasize free shipping in your item listing. Then you will see an increase in your conversions and don’t underestimate the power of the fact that you can dropship worldwide. 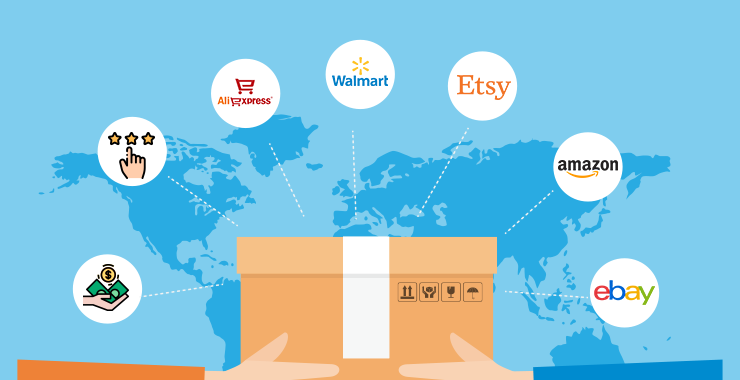 Many online stores do not ship outside the US and Canada. On the other hand, AliExpress dropshippers can always ship worldwide, which isn’t the case with eBay dropshipping. This can be a great point difference for your store. If you’re stuck on ideas for the sorts of nations that perhaps you should sell them, look for different nations that don’t have many stores online offering worldwide shipping. 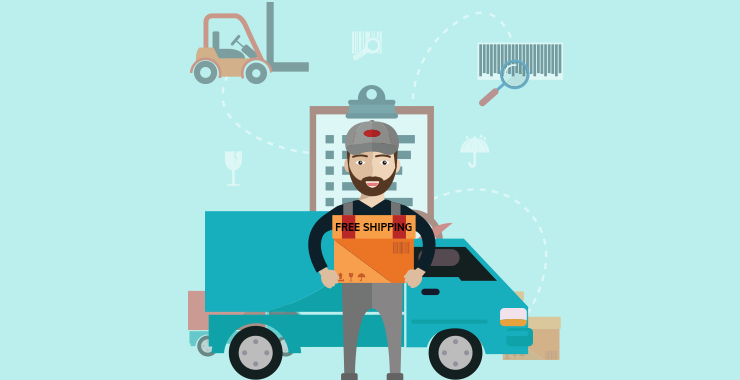 When you’re looking for a niche to sell, it would be worthwhile to do research to see if you could locate a niche where there are not many online stores that are already offering free shipping. It would also be worthwhile to look out for niches where there are very few stores based in English-speaking countries such as UK and Australia, where Amazon Dropshipping is damn popular. If you just so happen to be one of the very lucky people who speak another language other than English, you could always create a store based around another country that speaks your language as well. As your dropshipping business will multiply, it will get more demanding. Managing ten listings is very different from managing hundred listings in a dropshipping business. Therefore, dropshippers switch to one of the automated software solutions eventually. For example, eSellerHub develops custom dropshipping software, which will automate every part of your business from finding suitable products to list to preparing listings and handling returns and refunds. The software auto-updates pricing to reflect any change in the pricing of the original listing and maintain the profit margin. In addition to using free shipping emblem, proper dropshippers also include a protection emblem on their product pages, which makes a buyer looking at the product feel protected. It helps a customer feel that they can trust you if they know they can always get a full refund if they don’t get their item. In addition, buyers tend to check rating of the product they are willing to buy. Also, they look for what other people have said about it in the reviews. Together, positive ratings and reviews very much influence a buyer’s decision to buy a product. You can use other trust emblems as well such as the PayPal, MasterCard or the Visa emblem. Displaying these emblems means that people can see that they can purchase items using these secure payment methods. They will feel safer buying from you. You don’t have to pay for any advertising if you’re willing to take advantage of search engine traffic. Many dropshippers associated with eSellerHub abstain from paid traffic. Instead, they opt for free methods, of which, search engine traffic is, by far, the most common. 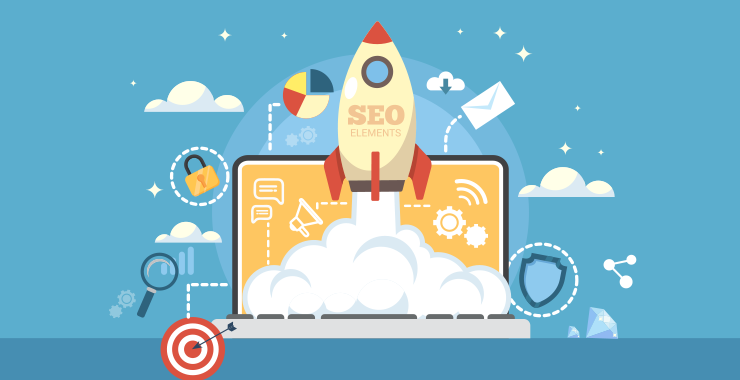 They have a vast majority of their sales coming from visitors who arrive at the website through organic search engine traffic. For those of you who don’t know, search engine optimization (SEO) is when you take a web page or a website and you make some changes to it so that it will rank higher for your chosen keywords when people look for those keywords using a search engine like Google. So don’t think that you need to buy advertising to be able to make money from your Dropshipping store. If you use search engine traffic, you can mark it for free. You don’t have to use paid traffic to be able to sell products in your store but it is an amazing opportunity that can be very profitable. 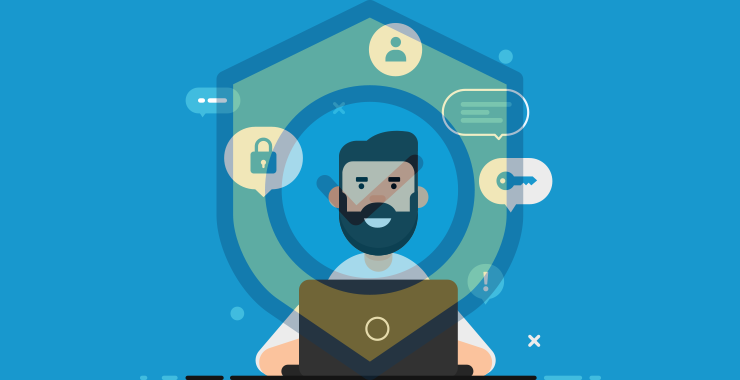 Sellers trying paid advertising first time tend to act over cautious and in the way, end losing more money that their investment in the paid ads. The only suggestion I would give them is to play smart. Although, you can start out on Facebook with just a $5 budget, I would suggest if you actually want to make money, you should start with at least $500 in budget, watch the ad campaign closely, and halt it if at any point you find it to be going out of control. However, if you are really serious and would love to go on and earn millions of dollars, then I would recommend that you invest a lot in paid ads initially unless you have established yourself as a credible seller with many rating and reviews. If you want to make a lot of money in a short duration of time, I would recommend identifying the trending items and start listing them on your store. Many of those associated with eSellerHub made thousands of dollars each month by selling fidget spinner when it was in trend. The FOMO (Fear of missing out) factor made even the most non-conventional buyer to buy those dumb spinners and sellers made thousands of dollars piggybacking on the sudden spike in demand. Those trends come and go; it’s up to the dropshippers to leverage on them and make their first millions. Those were some handy tips. How much money you make Dropshipping will depend upon your wit and instincts. Dropshipping is everything but easy and there are, certainly, risks associated not to mention the growing competition. Sellers can’t stop complaining about falling sales and thinning profit margins. The problem is not many sellers are approaching dropshipping in a smart manner. They are still doing most of the things manually when there are software solutions to automate most parts of an online arbitrage. For example, eSellerHub develops dropshipping solutions that are easy to deploy and absorb. 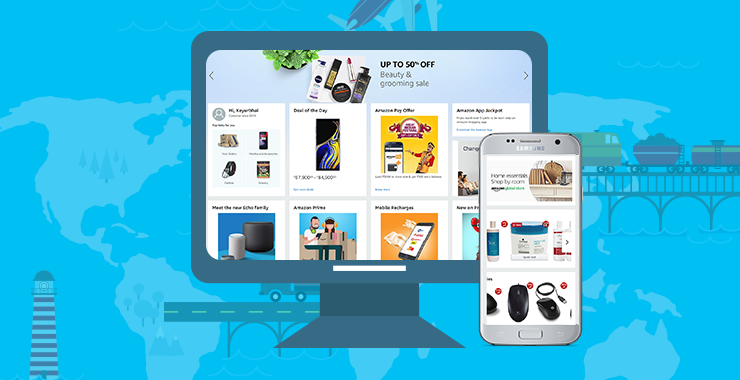 They are software solutions tailored to your way of doing dropshipping whether you’re going eBay to Amazon; AliExpress to Walmart or the other way around.